Hunter Bailey file photo from the 2017 U.S Freestyle Championships in Steamboat. Vail native Hunter Bailey notched a career best result on Saturday with his fifth-place finish at the Calgary World Cup moguls competition. 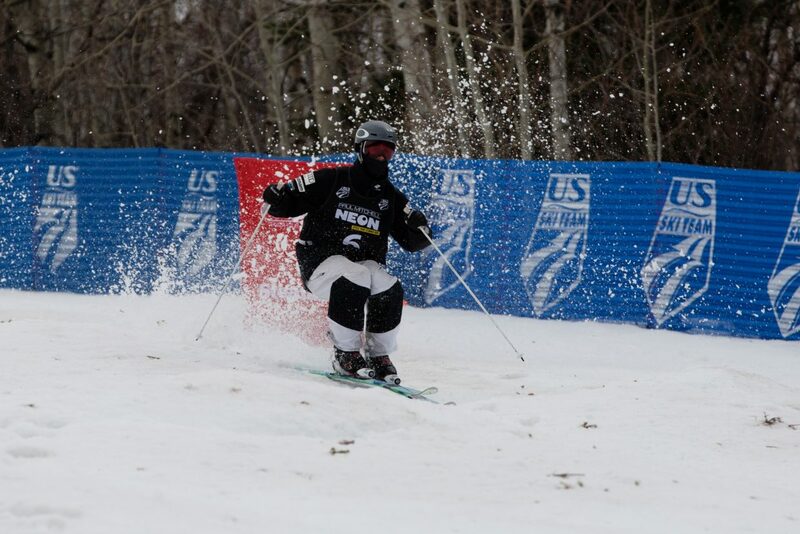 Bailey was also the top skier in the U.S. on the day, and the only American to make the super final round. The event started on Friday with qualifiers, before being narrowed down to a 16-man final and a six-man super final on Saturday. While Bailey has been on the U.S. team for the last three seasons, he is competing in his first full World Cup season this year. Saturday’s event was only the fifth World Cup competition of the 22-year-old’s career. He cracked the top 30 in only one of those events with a 14th-place finish in China on Dec. 15. Bailey was one of several Ski & Snowboard Club Vail alum to notch impressive results on Saturday; his teammate Jesse Andringa made his first-ever World Cup finals, finishing 13th, and Tess Johnson also made the super final in the women’s competition, finishing 6th. “Those guys are going home with significantly lower bib numbers and significantly higher confidence,” Head Moguls Coach Matt Gnoza said of Bailey, who cut his bib number – a form of ranking at World Cup moguls events – from 35 down to 16, and Andrindga, who went from 40 to 22. Bailey was born in Vail, joined the Ski & Snowboard Club Vail program at age 7, and started skiing in competitive moguls competitions when he was 12. In that time, he has seen the program come a long way. “I remember when it was just me and one coach at Nationals,” he said. Last season, four of the eight Americans to make the Olympic team in moguls were from Ski & Snowboard Club Vail. While Bailey works primarily with Gnoza and the U.S. Team’s coaching staff, he also benefits from the watchful eyes of Ski & Snowboard Club Vail coach Riley Campbell and program director John Dowling.